To create diverse prairie, you not only need a lot of seed weight per acre but you need a lot of different species of seed. We start harvesting in May and go into November. The photo above was taken in spring from a fine planting that was about ten years old. The species seen here are usually left out of prairie plantings because their seed is ready to pick in early summer, before people traditionaly consider it time to harvest seed. Shown are wood betony, two species of pussytoes, Bicknell’s sedge, Muhlenberg’s sedge, and an alumroot leaf in lower right. The master of this planting is volunteer steward Jay Stacy. 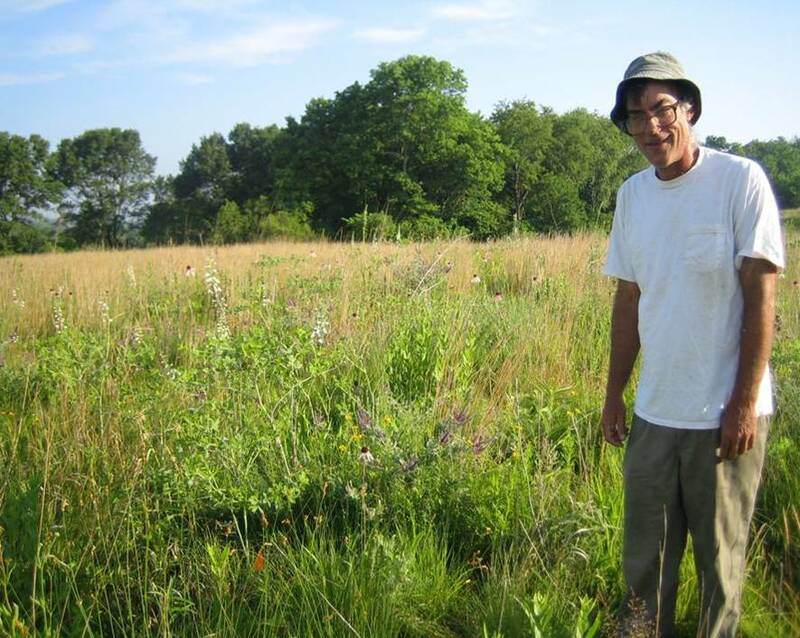 He and friends harvested seed from 157 species. A study transect done after a decade had 82 native species with only five non-native. The floristic quality values mimic our better remnant prairies. Other plants includes Spiranthes orchid, three species of violets, the rare prairie bushclover, and lots of lead plant and northern dropseed. 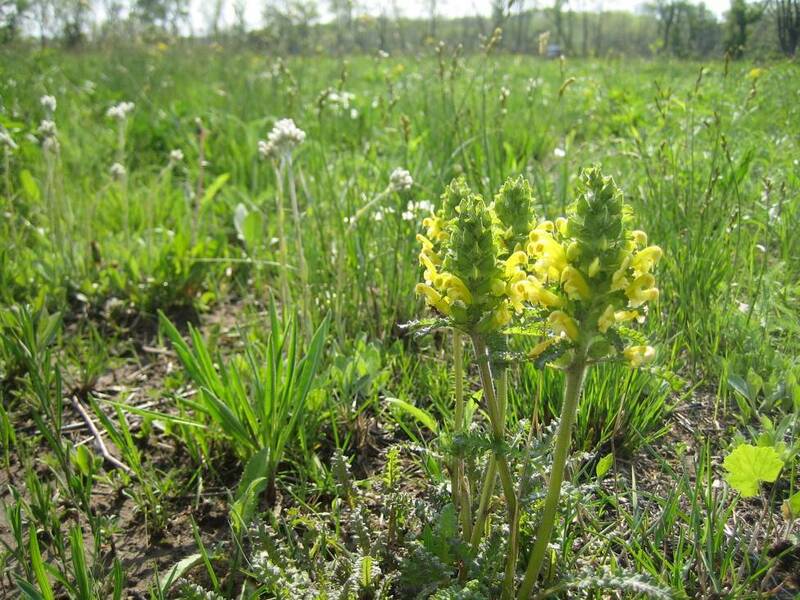 This planting and many others will be looked at during our annual GRN workshop, this year held at Nachusa Grasslands September 9-11, 2014. This entry was posted in Uncategorized and tagged prairie planting, seed diversity, seed weight. Bookmark the permalink.